This is the first time I share a link. That means this link is great, as it inspired me to do so. Whether you’re a parent, teacher, care-giver, artist, or photographer, you’re going to like what Ella has to show. Ella is a Vancouver-based mom devoted to her kids’ upbringing with adventure, care, and nature. Click here to see her blog: The Little Red Caboose. Good night. You know how some things in life are simply indispensable? A good pair of Havaianas for the summer- and Blundstones for the winter. A Moleskine notebook to sketch lists, ideas, and notes. A Joy of Cooking on your kitchen shelf. This book is basically all you need to know about making wholesome baby foods. What you need, how to cook, store, and serve, when to introduce… It will guide through the stages of introducing foods from 6 to 23-months of age. The Best Homemade Baby Food on the Planet is a perfect combination of nutritional needs, fresh choices, and practicality. I love the simple blends of veggies (Carrot and Sweet Potato) and its combination with fruits. 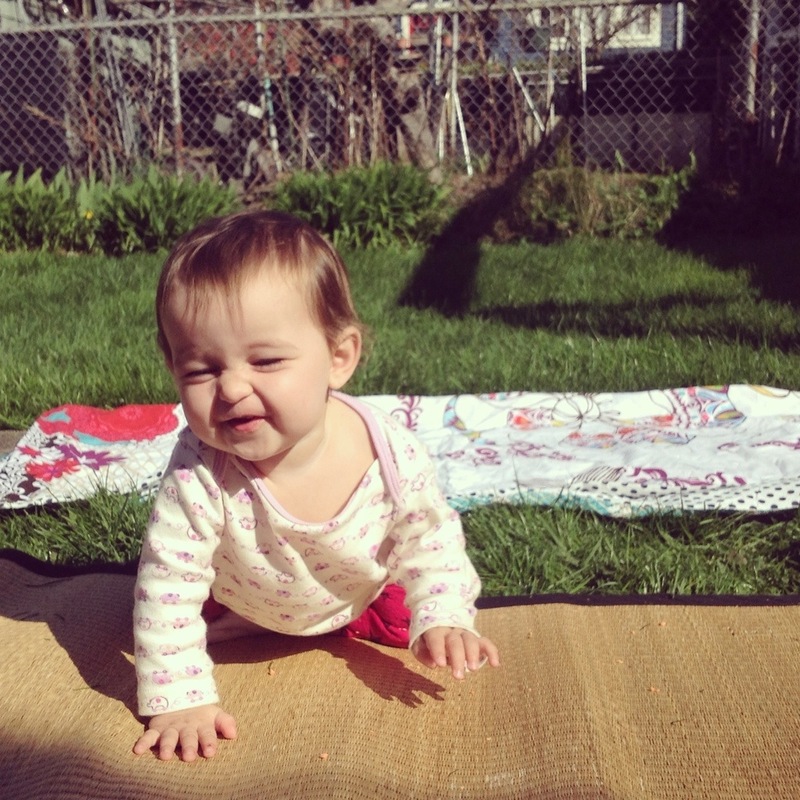 Another key thing I find to introducing foods to our bebe is routine, patience, and play. At home I grew up with one simple rule: we all sat at the table for dinner. As kids and teens we did this and looking back I recognize the importance of that ritual.